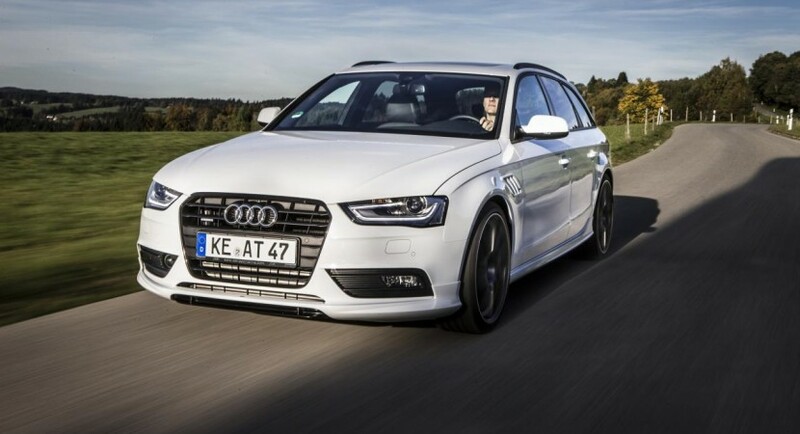 ABT Sportsline reveals a new tuning program for the latest A4 generation, both sedan and wagon variants being eligible for this new kit. At the exterior, the German tuners provide an aerodynamic kit including new front and rear spoilers, side skirts, 19- or 20-inch alloy wheels and a rear skirt. In the rear we also find a quad-pipe exhaust system while an improved coil-over suspension improves the ride of the Audi A4. In terms of performance, ABT Sportsline promises a power boost for the 3.0-liter TDI engine to a total output of 300 horsepower and 570Nm of torque. 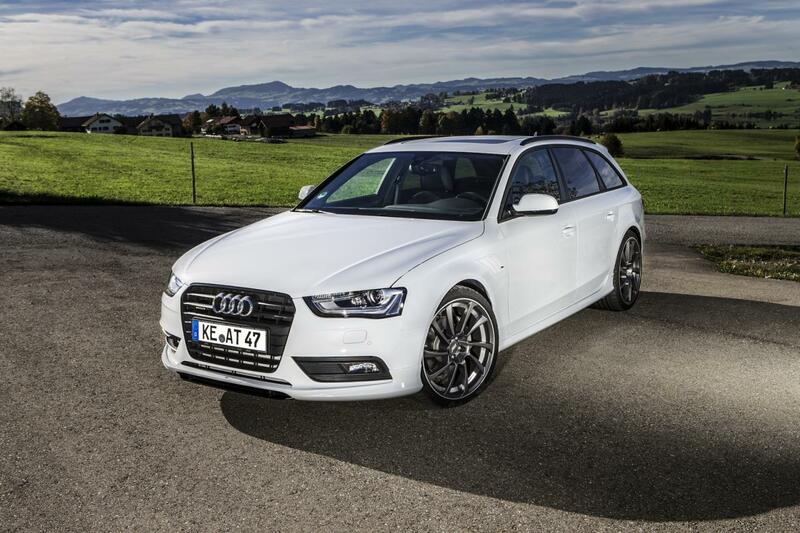 Moreover, the 2.0-liter TDI is improved as well offering 205 horsepower and 420Nm of torque. 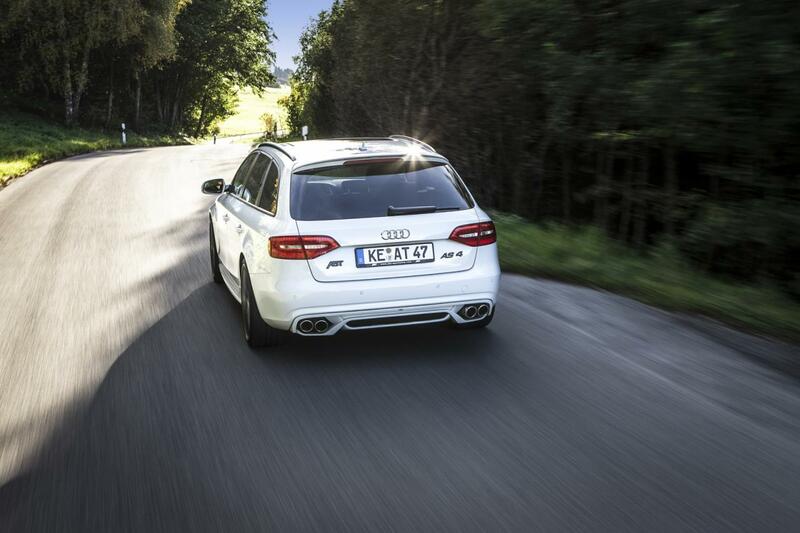 Last but not least, there is a power tune available for the 1.8-liter TFSI and 2.0-liter TFSI engines. If the first one delivers 170 horses, the larger 2.0-liter unit comes with 270 horsepower. 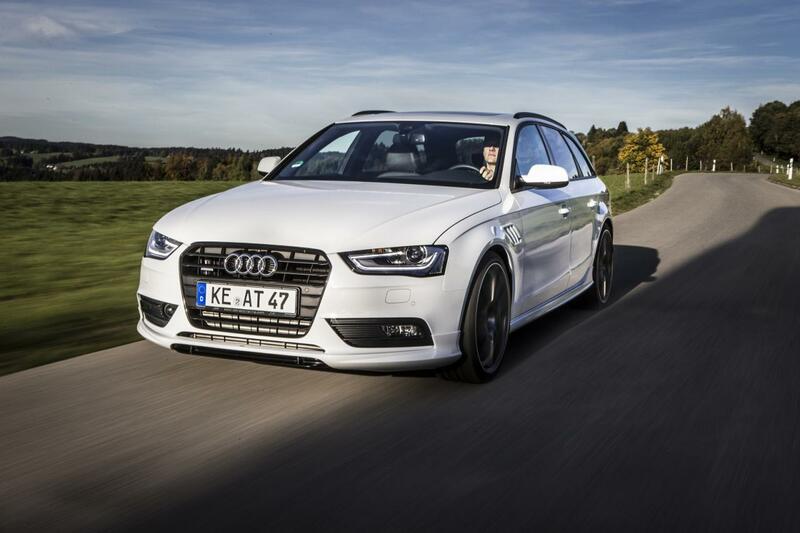 As mentioned above, ABT’s new tuning kit is available for both A4 Sedan and Avant models.